Designed in the UK, the MIGHTYLITE ELITE is an elegant LED wall light which uses just 16W of power to give bright, attractive outdoor or indoor lighting through its light diffusing opal lens. 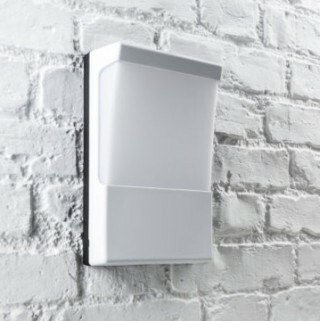 Available in both portrait and landscape formats, the MIGHTYLITE ELITE uses high-powered Epistar LEDs and a British designed dedicated driver unit to deliver bright, energy saving light with industry-leading levels of reliability. 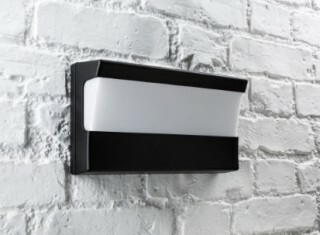 All lights feature a matt black aluminium backing plate, a polycarbonate fascia (in black or white) and an opal wraparound lens to ensure an even diffusion of light. MIGHTYLITE ELITEs are all fully certified with CE, RoHS and LVD approvals and are ERP compliant. 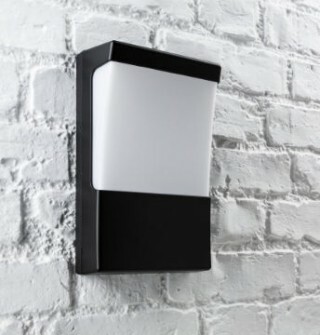 Attractive 550 lumen wall light, in black portrait format, which is ideal for use outdoors or indoors. Aluminium back plate finished in black with a polycarbonate matt black fascia. 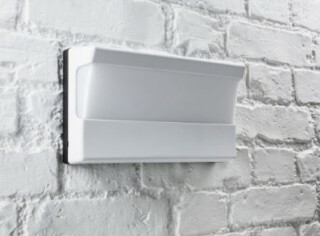 Attractive 550 lumen wall light, in white portrait format, which is ideal for use outdoors or indoors. Aluminium back plate finished in black with a polycarbonate gloss white fascia. Attractive 430 lumen wall light, in black landscape format, which is ideal for use outdoors or indoors. Attractive 430 lumen wall light, in white landscape format, which is ideal for use outdoors or indoors. Please use the various contact details to the right in order to get in touch with F4 Enterprises. Alternatively you can use our general enquiry form on the Contact page.